Part 2 begins with drawing corrections and refinements and some basic color adjustments. With the foundation of the painting set, Steve continues with thicker paint to define details, extend the value range, and refine the painting. 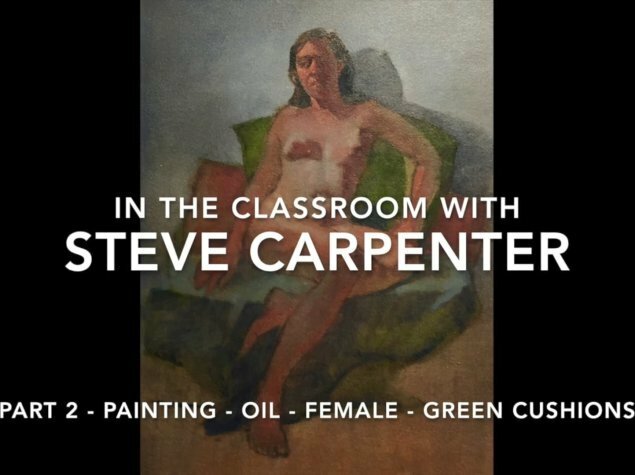 All aspects of figurative painting are addressed: portraiture, hands and feet, torso, compositional considerations, attitude and intent, line and value, and color choices.